This entry was posted in Esai and tagged Pendidika Politik Santri on 30 Desember 2017 by admin. This entry was posted in Berita and tagged Berita Halaqoh Ngaji Santri on 25 Desember 2017 by admin. This entry was posted in Berita and tagged Berita Ngaji Remaja Santri on 24 Desember 2017 by admin. This entry was posted in Berita and tagged Halaqoh Ngaji Pemikiran Ulama on 8 Desember 2017 by admin. This entry was posted in Artikel Halaqoh and tagged Halaqoh Jihad Modern Santri on 5 Desember 2017 by admin. 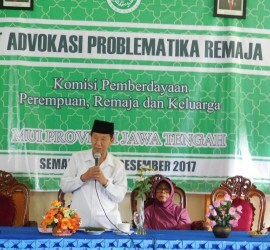 Membaca Maulid itu Tidak Mendapat Pahala! This entry was posted in Esai and tagged Maulid Membaca Muhammad Refleksi Tadabbur on 1 Desember 2017 by admin. This entry was posted in Berita on 26 November 2017 by admin. This entry was posted in Berita on 25 November 2017 by admin.